The TKE Houses have been fully leased for the 2018-2019 school year. Leasing for the 2019-2020 school year will begin in February 2019. There will be housing available for initiated members of the Spring 2019 candidate class. Talk to the rush chairs or your new member educator team if you have questions. 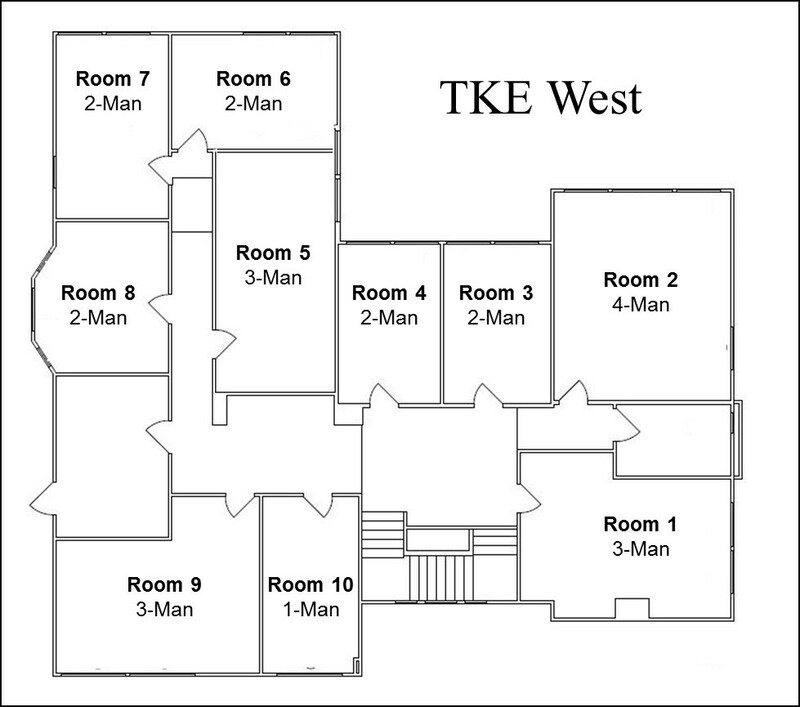 There are 10 rooms and 24 spots available in TKE West. One 4-man room, three 3-man rooms, five 2-man rooms, and one single. TKE West is leased on a 12-month basis. Leases start in late August and end in the middle of August. 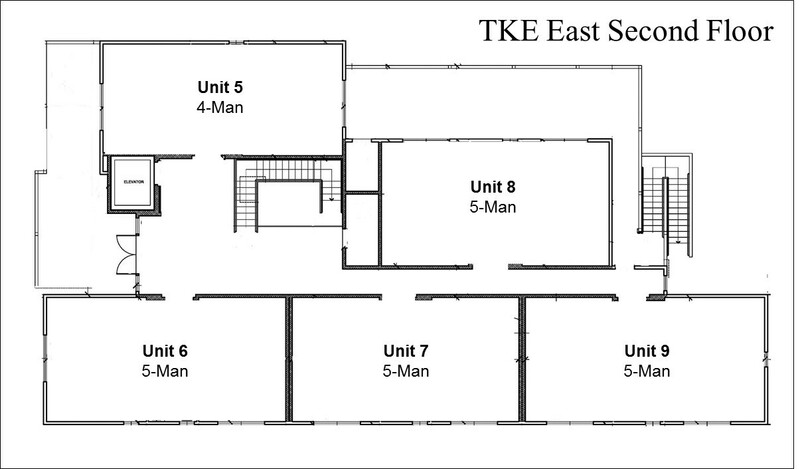 The cost to live-in TKE West is $3,550 per semester. 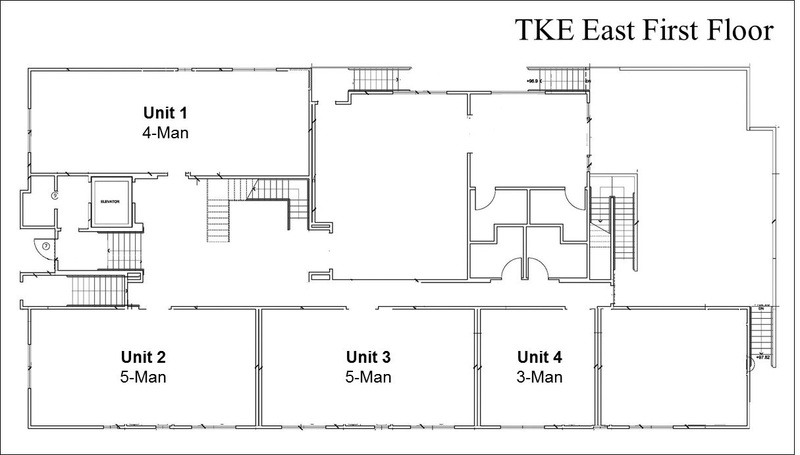 There are nine units and 41 spots in TKE East. There are six 5-man units, two 4-man units and one 3-man unit. TKE East is leased on a 12-month basis. Leases start in late August and end in the middle of August. The cost to live-in TKE East ranges between $3,980 and $4,600 per semester.